Are you thinking about starting a keto diet? 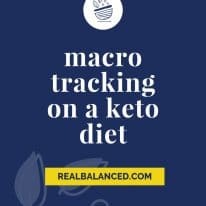 This post is for those looking for ketogenic diet for beginners tips! 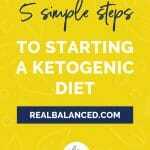 Read on to get my 5 simple steps to starting a ketogenic diet. Millions of people across the globe partake in the ketogenic lifestyle and enjoy the amazing benefits. Some of the awesome things keto can do for the body include weight loss, higher energy, lower blood pressure, and better digestion. 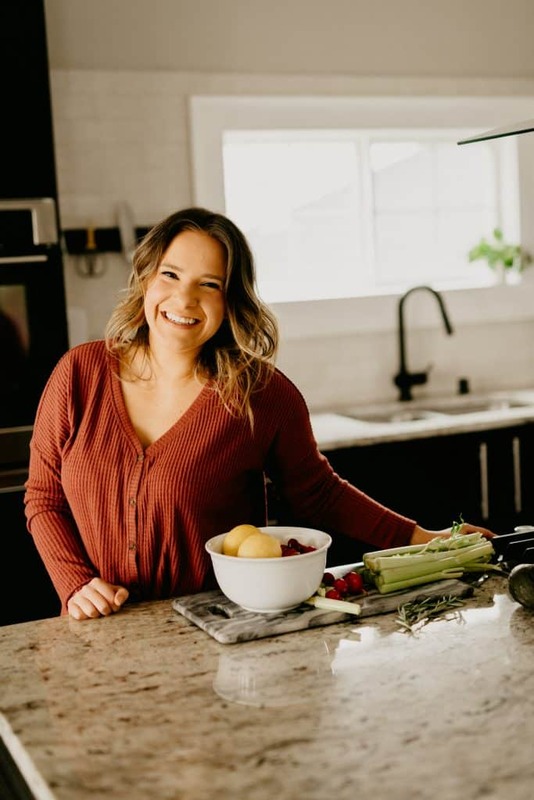 Jumping in to a keto lifestyle can seem a bit daunting at first, but there are 5 quick ways to prepare yourself to make the transition as easy as possible. Through adopting some keto diet basics, you can easily kickstart your journey! To begin a ketogenic diet, it is helpful to know what being keto really means. The body uses two energy sources: carbohydrates and fat. The body typically chooses carbs for energy and will only dip in to fat if the carb storage runs out. In a Standard American Diet, carbs generally do not run out, and the body continuously uses them for energy. On a keto diet, the focus is on consuming LOW-carb, HIGH-fat foods. This means that the body’s storage of carbs will go down, and when it runs out, the body will instead switch to using fat for energy. When the body is consistently using fat, it is called ketosis. Reaching and maintaining ketosis is the goal of the ketogenic diet! At first, a ketogenic diet can feel relatively strict, though completely adaptable. Meat, poultry, seafood, eggs, low-carb vegetables, nuts, leafy greens, and healthy fats are some of the foods that you should consume on keto! Stay away from sugar, processed foods, bread, pasta, juice, soda, beer, and other high-carb foods. In order to make the keto transition as easy as possible, stock your fridge with only foods that are permitted. Be sure that you learn the ins and outs of which foods are acceptable, and plan accordingly. There are a handful of foods that I have found to be my keto staples that make the lifestyle infinitely easier. These foods are crucial for various recipes (especially desserts! ), and have become absolute lifesavers. Monk Fruit Sweetener: This incredible product by Lakanto is an all natural, zero carb, zero calorie, non-glycemic sweetener that I use for nearly ALL of my sweet recipes. This stuff is the perfect substitute for sugar because it tastes exactly the same and incorporates in at a 1:1 ratio! I recommend it to everyone, especially those that follow a keto diet but still have a big sweet tooth! If you want to get on this amazing stuff, you can use code “REALBALANCED” for 20% off on your order! Coconut Flour: I LOVE using coconut flour! It is tasty and perfect for NUT-FREE keto recipes! I use it in SO many different recipes, such as my Low-Carb Coconut Blondies and my Nut-Free Keto Bread. I get my coconut flour from Thrive market. Pick up your batch from Thrive and save 25% on your first order! SunButter: SunButter is the BOMB. I always use the No-Sugar-Added version. Not only is this version of SunButter completely keto, ALL of SunButter’s variations are free of the top 10 allergens (including nuts!). I love using it for my Keto Gingerbread Cookies and Pumpkin SunButter Soup! To make your transition as smooth as possible, plan ahead and have a week’s worth of recipes ready to go. By preparing your meals and knowing what you will be cooking ahead of time, it will make your week MUCH easier. This is especially true if you work a 9-5 or find yourself to be rather busy during weekdays! 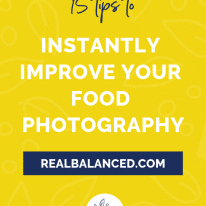 In addition, craft a meal plan centered around foods that you already love. By finding meals that you love, transitioning to the keto diet will be one million times easier. The truth is, going keto really doesn’t require you to give up ANY of your favorite foods. Instead, you need to learn how to adopt and create low-carb versions! To get you started, here is a sample 5-day simply keto diet plan. All of these foods can be made ahead of time and were recommended multiple times throughout the week to minimize waste! In addition, there are a couple of optional snack ideas just incase you feel some hunger between meals or want a post-dinner treat. I have a ton of additional options on my website for you to check out. 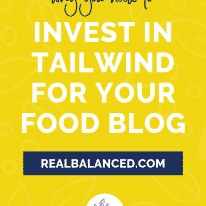 ALL of my recipes are keto-friendly, so you never have to wonder if something is compliant! There are so many great recipes to choose from whether you are on the go and need something fast, or want to whip up something more complex. This one is simple! To fight the “keto flu,” begin with the easiest step: drink a LOT of water. Hydration is key in all facets of our health! You cannot heal if your body is not hyrdated . Supply your body with a little extra water during the keto flu to speed up recovery and help everything function a little bit smoother. Get your beauty rest! Allow your body to fight off lethargy and fatigue by getting enough sleep each night, especially in the initial weeks of your keto transition. When you go through the “keto flu,” your body loses a lot of electrolytes as it transitions into ketosis. To keep your electrolyte levels where they need to be, look for foods that contain sodium, potassium, and magnesium. Some ideas include bone broth, avocado, tuna, and salmon. To make it easier, I have a couple great recipes to help in this category. Try my Avocado Tuna Salad, Spicy Salmon Poppers, or 10-Minute Spicy Tuna Rolls! Exogenous ketones come in the form of supplements and can be quite useful, though not everyone following a keto diet uses them. These are not for everyone, so please do your research before deciding to partake. I will provide a quick overview of what they are, as I personally find them to be beneficial. Ketones are the energizing compounds that are created in the liver when the body breaks down fat. When you are in ketosis, your body is producing more ketones. The keytones created by your liver are referred to as endogenous ketones. Exogenous ketones come from outside of the body, and are the external counterpart to endogenous ketones that are made within the body. Some may choose to use exogenous keytones when going through the keto flu as a way to jump-start their keytone levels and supply their body with energy, and many other benefits. Personally, I use the powdered form from Perfect Keto. If you are interested in trying out exogenous keytones, you can use code “REALBALANCED” to save 15% on your order. Do not let the “flu” derail you from your goals. If need be, add a few extra healthy carbs (perhaps in the form of a high-carb vegetable) into a meal to make the transition a bit slower and less severe. Focus on the big picture and head into the keto flu headfirst. Stay confident and remember that once it is gone, you will begin to experience all of the amazing benefits keto has to offer! To make jumping in to keto a bit easier, find an accountability partner. It could be someone who is also transitioning into the lifestyle, or simply someone you can confide in! Either way, find someone that you can speak to where you can offer words of encouragement, share recipes, and help each other stay on track! Transitioning to a ketogenic lifestyle can be a breeze. By doing your research, stocking up on permitted foods, planning your first few weeks, fighting the flu with zeal, and finding an accountability partner, you will be well on your way to kickstarting your keto journey! Are you ready to jump in and begin the ketogenic diet head on? If so, I have the perfect resource for you! Download my FREE cheat sheet that will walk you through the keto diet and make the process a bit smoother. Feel free to reach out with any questions! I am here and happy to help you on your journey. I can’t wait to hear about all of the amazing things that the ketogenic diet does in your life! Headshot courtesy of Studio 29 Photography.